Timeless beauty, grace and elegance. 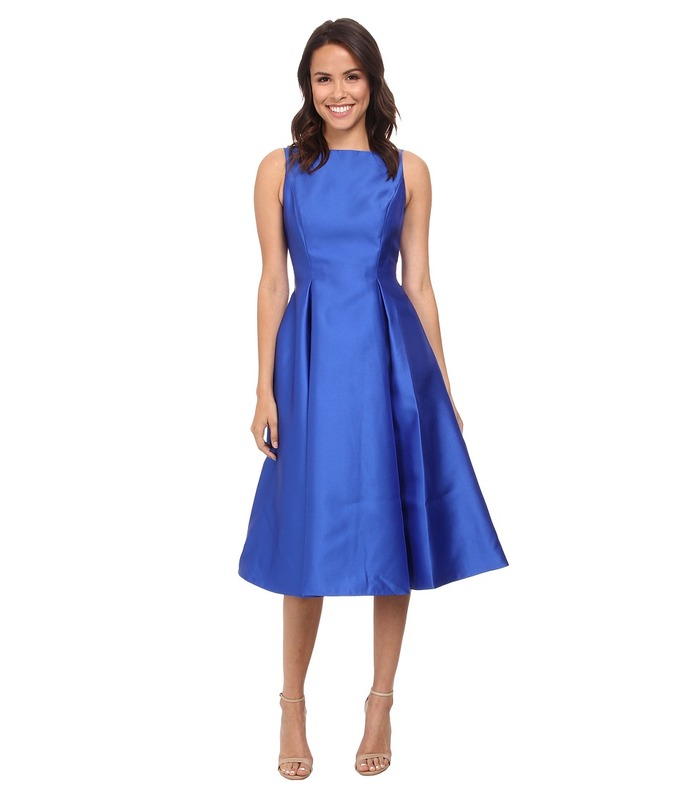 Satin fit-and-flare dress features inverted pleats along the tea length skirt. Sleeveless design has a bateau neckline. V-backline with a concealed zipper in back. Straight hemline. Lined. Dry clean only. 100 percent polyester Lining: 100 percent acetate. Imported. Measurements: Length: 44 in Product measurements were taken using size 4. Please note that measurements may vary by size.